I'm on a journey of trying to figure my life out. And if you guys are on the same journey, let's do this together. Lyric soprano, country star, multi-platinum selling artist. 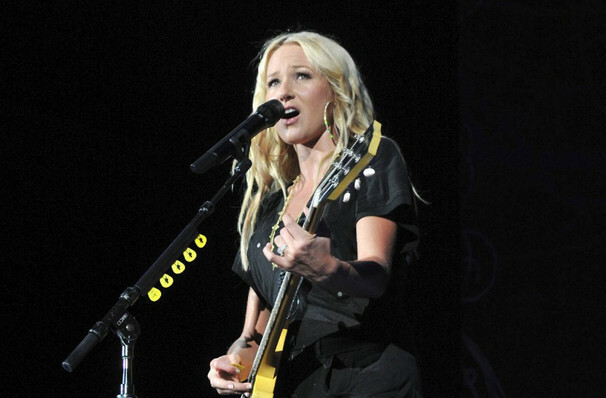 Singer-songwriter Jewel first came onto the scene in 1995 with her 15-time platinum album Pieces of You, and has continued to be a mainstay of country and folk music. 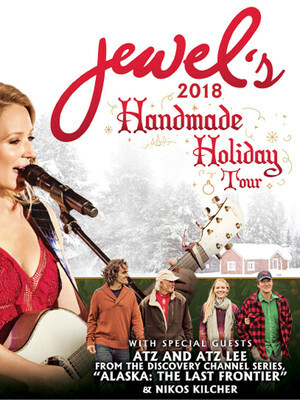 Jewels is returning to the road this season for a one of a kind tour; performing classic and original holiday hits and her own classic songs alongside special guests and family members. Make sure you don't miss the second annual Handmade Holiday Tour! Having suffered one of the most gruelling childhood and growing up experiences possible for a struggling singer, Jewel has proven herself to be one tough lady; growing up in provincial Alaska, she sang at down and out lumberjack bars with her jobbing father; when he became physically abusive, she left for San Diego to be with her mother, where they both struggled financially to survive, even winding up sleeping in their cars' when Jewel's was stolen, she lived on the streets for a full year, suffering ill health along the way. Her lucky break came when she was discovered singing at a San Diego coffee bar in 1993 by a musician from a local San Diego band, Rust.